Even after imposing the no fly zone in Libya and fifth continuous night of western raid in the country, Gaddafi is still fighting with the rebels in the country fearless. 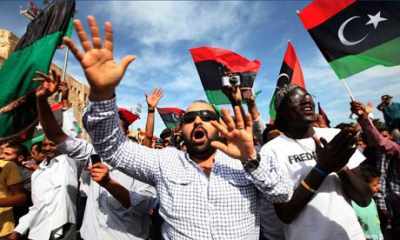 Several loud explosions were heard in the capital, Tripoli overnight and in the rebel held city of Misrata, Gaddafi’s tanks have been shelling the land. Earlier the locals told that the tanks started pulling back fro the position of hold when the western countries launched attack, but soon after the planes had gone back, Gaddafi’s tanks resumed shelling in the city. Meanwhile a French fighter has shot down a Libyan air force jet which was violating the no-fly zone, ABC News has reported. 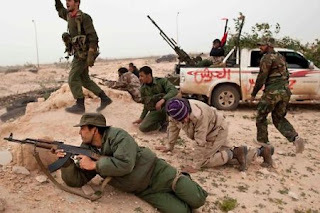 Also their air strikes hit a Libyan air base in the interior of the country in the mid of the night 250km (155 miles) south of the Libyan coast with Mediterranean Sea. Libyan military sources have confirmed Western air strikes hitting the Tajura district of the capital. Later on Thursday, Libyan Media reporter Western military planes hitting the town of Sebha, 750 KM south of Tripoli in southern Libya, which is a stronghold of Gaddafi and a military base.